The Japanese cuisine is as versatile as it is delicious. With the use of the freshest ingredients, loads of seafood, fine flavors and finesse when it comes to the preparation of dishes, it is a favorite kitchen amongst many. 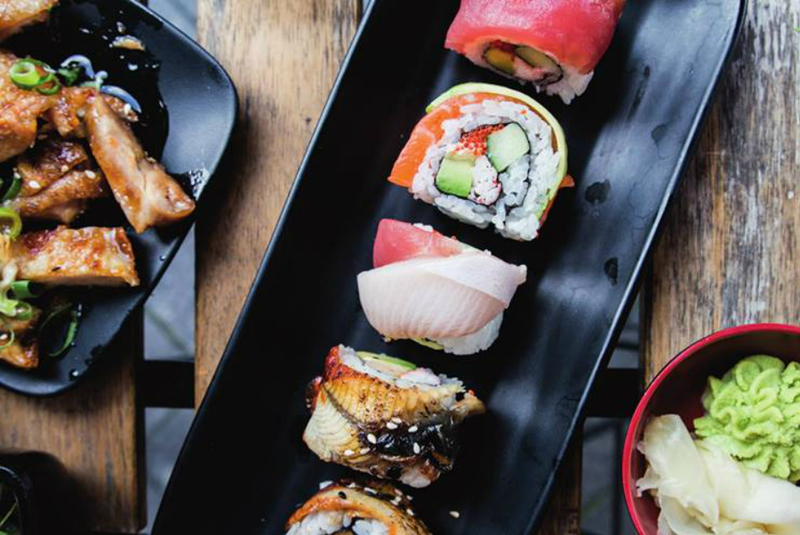 Read on to find out what the 10 Best Japanese Restaurants in Amsterdam are. From Teppanyaki and Street Food to Michelin Star dining experiences! EN Japanese Kitchen & Sake Bar is located in de bustling De Pijp area. For years host Ryuji Ikemizu and Chef Ken Osawa leaded the kitchen at Michelin Star restaurant Yamazato and with their own restaurant EN, they deliver the same quality for less. The menu is based on shared dining and consists of an extensive range of small dishes and main courses. With their amazing plating skills, they make every dish look just as good as they taste. At EN, they are just as passionate about the food they serve as they are about Sake. With over 30 different options to choose from, the host will be happy to help you out with the best sake to accompany your dish. Tip: their monthly changing seasonal menu gives you a taste of the chef’s most delicious creations. 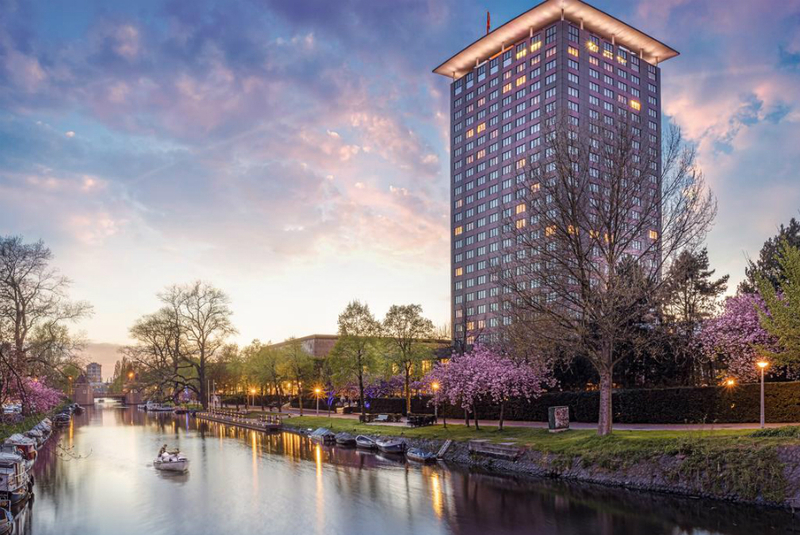 When it comes to Japanese Culinary highlights in Amsterdam, five-star Hotel Okura has an incredible offer. The three restaurants located in this hotel hold a total of five Michelin Stars! So if you’re looking for a fine dining experience, this is the place to be. Sazanka is the first and only teppanyaki restaurant in Europe to be awarded a Michelin star. Teppanyaki is a traditional Japanese style of cooking on a hot iron plate located at the guests table. This makes it a perfect experience for dining with a group! 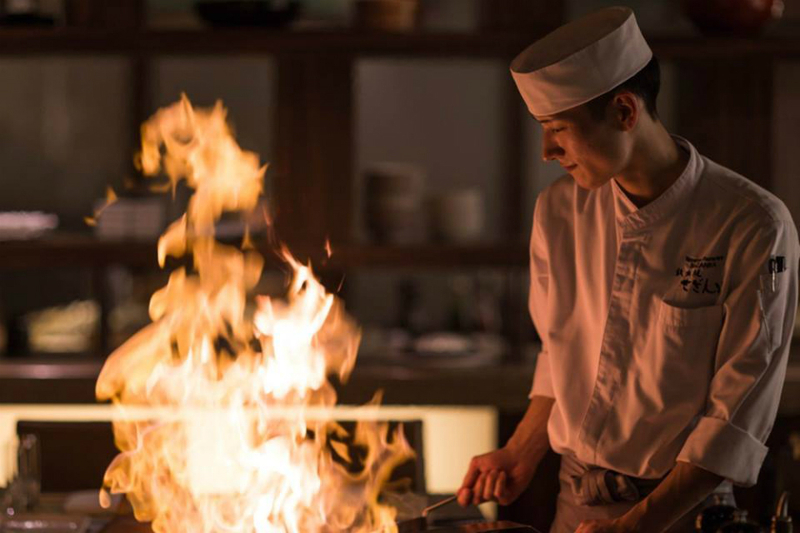 Let the teppan chefs demonstrate their exquisite cooking and be amazed by the spectacle. You can expect fish, meat and vegetarian dishes, all presented with gastronomic allure. Dining at Sazanka guarantees an entertaining and above all culinary night out. 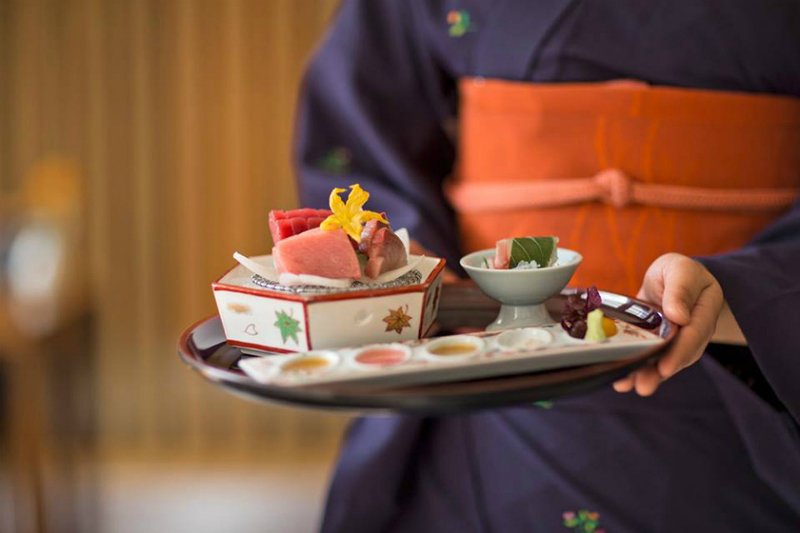 Yamazato offers traditional Japanese small dishes of the Kaiseki cuisine and was the first Japanese restaurant outside of Japan to be included in the top of the Michelin Guide. The Kaiseki kitchen differs a lot from those of modern Japanese cuisine. From the way the dishes are presented, to the kimonos of the waitresses: everything is submerged with symbolism. You’ll get to experience a moment of zen in the midst of one of the most bustling area’s of Amsterdam. De Japanner is your go to if you’re looking for street food style Japanese dishes and tasty beverages. Next to the Japanese street food menu they serve a wide range of beers, cocktails and sake until well after midnight. A perfect spot for a night out with friends or a quick late dinner. All ingredients De Japanner uses are fresh, local and seasonal. They tried to make a combination of Amsterdam coziness and affordable Japanese cuisine, which they nailed. Expect a menu with small dishes like Salmon Tataki and Gyoza with Wagyu Beef, combined with a large selection of Japanese beers, sake and cocktails. Sushi lovers (and big eaters) will have a good time at Mo-Jo Japanese Kitchen. For a set price you’ll have unlimited access to a wide selection of freshly prepared Japanese dishes. From tuna tartar and sushi rolls to crisp tempura and grill dishes. Their extensive beverage list includes a selection of beautiful yet fairly priced sakes and wines. If you’d rather enjoy all they have to offer a la carte, they have that option as well. With such a large menu it might be hard to choose what you want. Since it’s an all-you-can-eat concept, you don’t have to, but there are definitely a few dishes on there that you should not miss out on. Favorites on the menu are the spicy tuna tartar, the caviar hand roll and their rib-eye rolls. At Izakaya they take Japanese dining to another level by giving it a South American twist. The creative dishes on the menu are all worth the try and they have an extensive cocktails list to go with that. The state-of-the-art bar is a place where an attractive crowd likes to hang out and mingle with a nice cocktail. The Japanese dishes they serve all have a South American touch, which makes it an exciting culinary experience. Definitely try their Beef Tataki and the Shrimp Spinach Salad with parmesan as a side. Their Sashimi is made from the freshest seafood you can get and will melt on your tongue. It’s that good! Sweet tooth? The Matcha Bar combines their love for tasty treats with the popular green matcha powder. 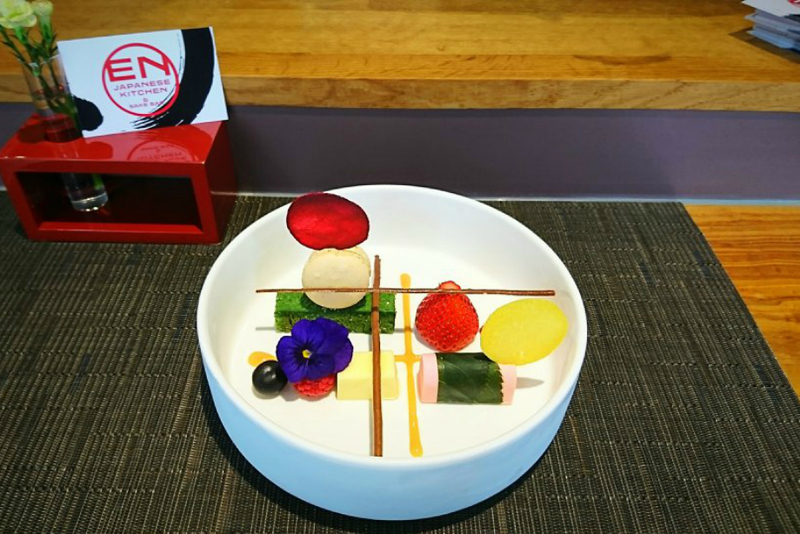 Expect a menu filled with amazingly tasty sweets influenced by the Japanese culture. Matcha is a healthy tea powder full of fiber, minerals and vitamins. The Japanese fluffy Cheese Cake with a freshly brewed cup of coffee is a favorite! 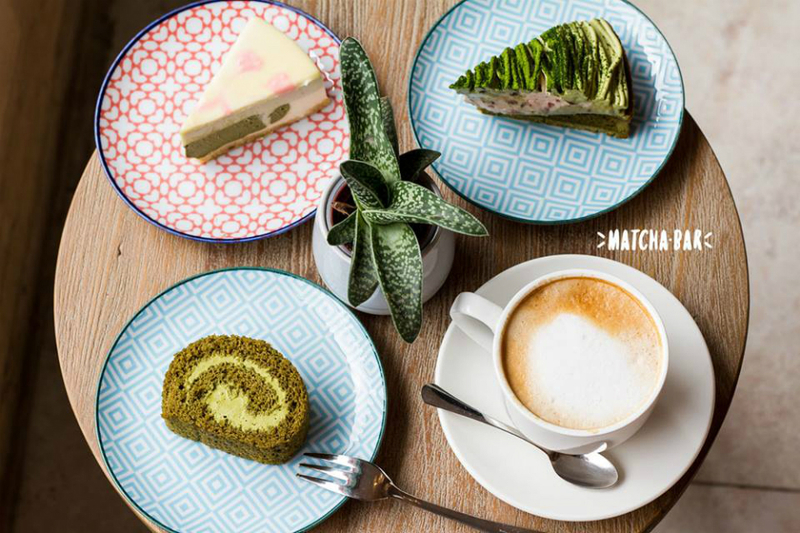 While visiting the Matcha Bar, don’t forget to explore the neighborhood, we’ve written a guide on the best things to do in De Pijp. 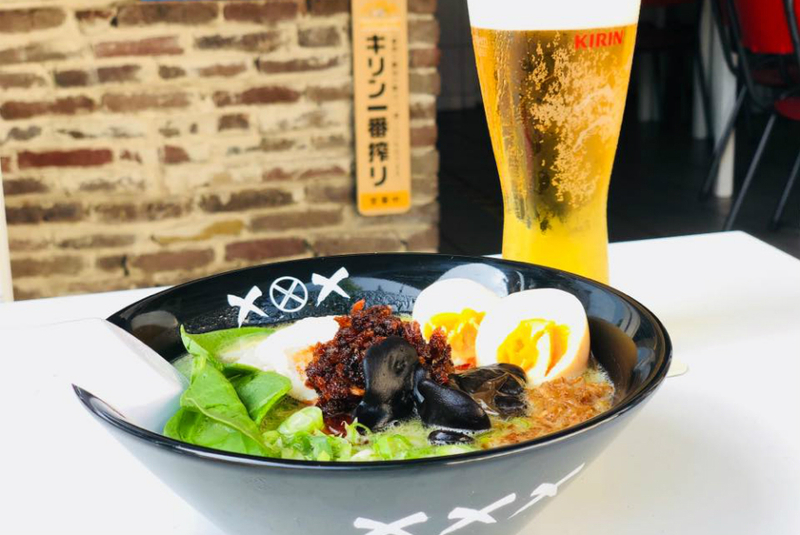 The best place in Amsterdam for Ramen lovers to satisfy their cravings is Vatten Ramen. This popular Japanese steamy hot bowl is more than just a simple noodle soup. This Japanese restaurant is a project of Japanese Michelin Star chef Hideto Kawahara, who has opened restaurants in both Japan and New York. So, believe it when we say that this is the best bowl of Ramen in town! The latest location of Kyoto Sushi is situated at Amsterdam Central Station and offers Japanese grill dishes, sushi and sashimi. The head chef Kenji Osone is originally from Tokyo and creates all his dishes using traditional recipes. All dishes are as well prepared as they are well-priced dishes. A few favorites are the Salmon Don: a sushi bowl with sashimi, sushi rice and soup and the Yakitori Set, a combination of skewers of chicken, salad and rice. At Kyoto they prove that tasty and healthy Japanese food doesn’t have to be expensive. MOMO offers a unique Asian dining experience with an emphasis on the Japanese cuisine. Expect perfectly prepared sushi, and sashimi as well as seafood dishes like black cod, king crab and a variety of meat. Their seared Wagyu beef and Duck are truly magnificent. Most of the dishes are served in small portions, so guests can choose several options to share. 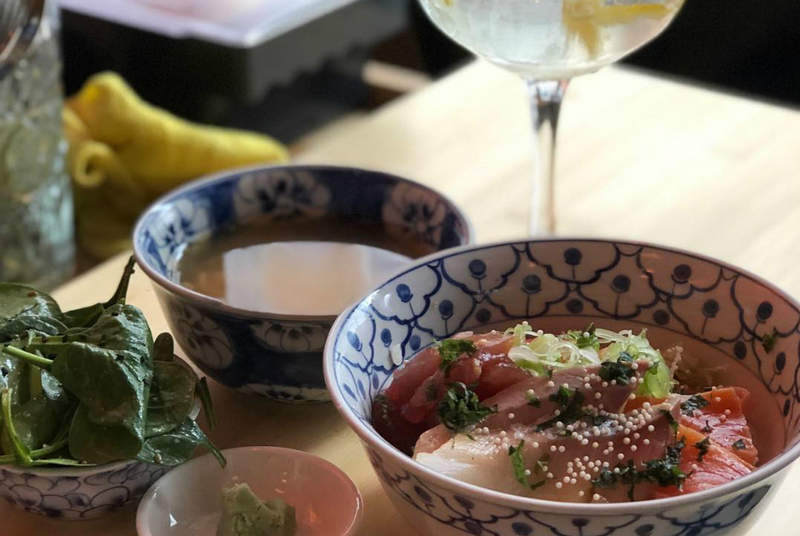 Besides being a high-end Japanese restaurant, Momo is the perfect place to start your night out. Have a cocktail at the bar after dinner before heading into town or hang around until late. This hotspot is popular with the locals and you only need a short visit to understand why! 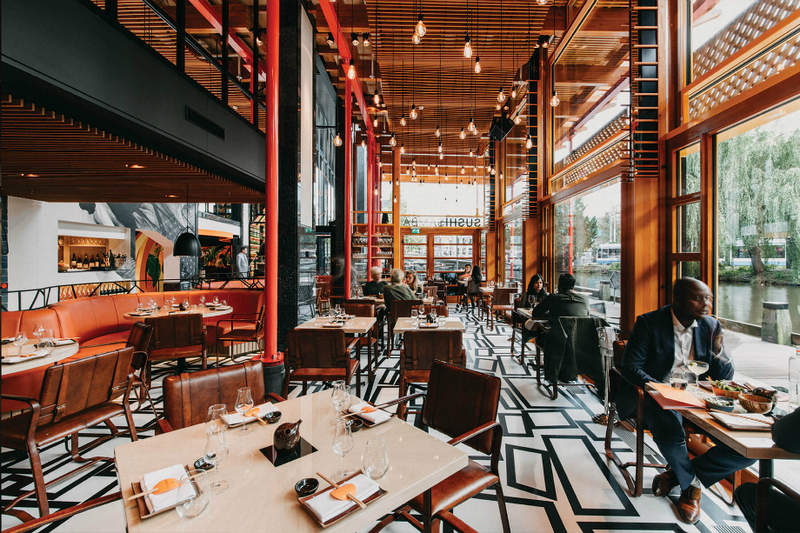 Sushisamba is a new favorite in Amsterdam bringing the Japanese, Brazilian and Peruvian cuisine together. This japanese restaurant is situated at a beautiful canal in the city center and offers a warm ambiance inside and an incredible terrace for any sunny day. 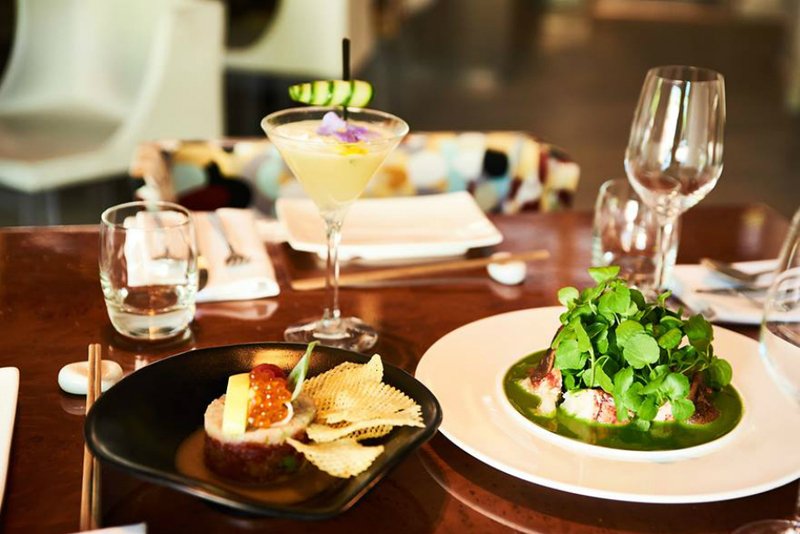 Part of the experience at Sushisamba is guests sharing most of the servings. 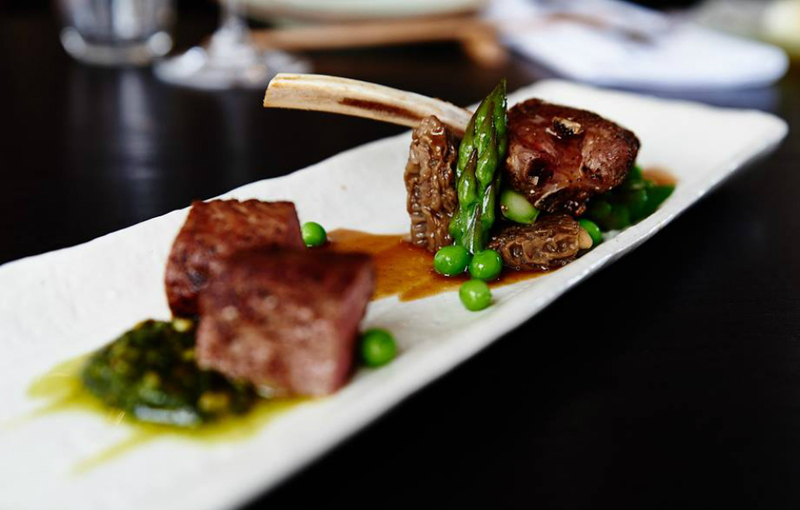 Expect small innovative dishes such as Anticuchos, Tuna tataki and Sawagani. The combination of three different cuisines make for remarkable taste sensations. Next to the amazing food menu, their extensive wine and cocktail list make this a perfect spot for a long evening of wining and dining. 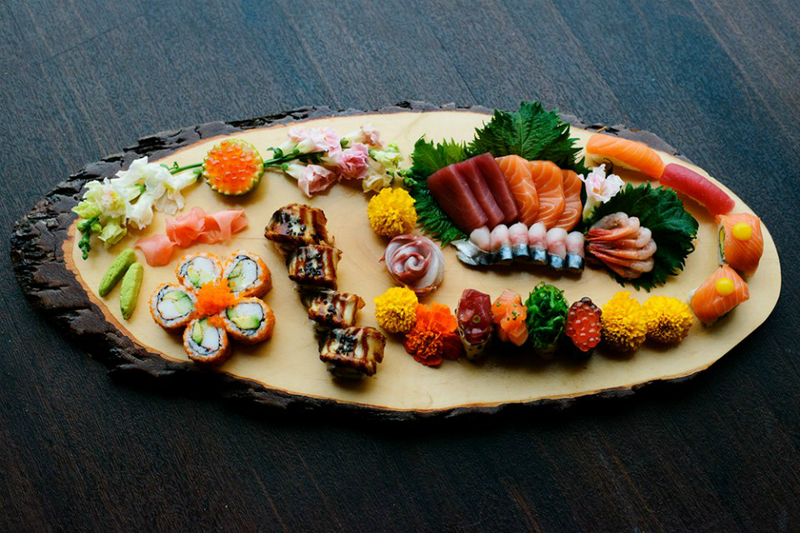 We hope you enjoy all that Amsterdam has to offer when it comes to the Japanese cuisine. Can’t get enough of Asian food? Have a look at our Best Asian restaurants in Amsterdam list for more amazing restaurants. Check out our list of things to do in Amsterdam if you want to plan your whole day.